IN a bid to execute a transparent and successful concession of the nation’s airports, Minister of State, Aviation, Senator Hadi Sirika has asked unions represented by the Air Transport Senior Staff Services of Nigeria (ATSSSAN) and the National Union of Air Transport Employees (NUATE) become members of the concession Project Delivery Committee, to enable them make inputs to better the process. Sirika, who came specifically to clear mistaken beliefs arising from government’s pronouncement that it would concession airports, stated that said concessions of the airports would be a major benefit to the country. 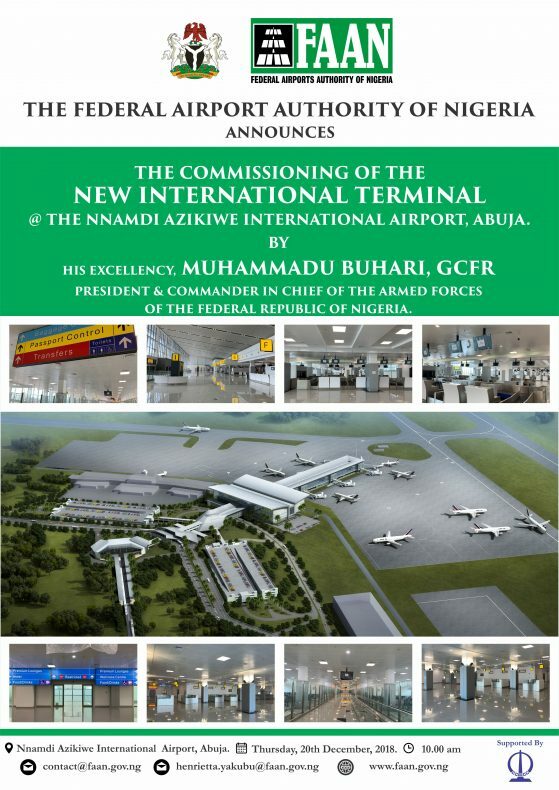 Federal Government according to the Minister has earmarked the Nnamdi Azikiwe International Airport (NAIA), Murtala Muhammed International Airport (MMIA), Mallam Aminu Kano International Airport (MAKIA) and Port Harcourt International Airport (PHIA) for the first phase of concession which will be followed by the cargo designated airports and then others. Sirika reiterated that the airports as they are, were a major blemish which needed improvement stated that the dynamo behind government’s resolve to concession was the over-riding national interest in ensuring the establishment and sustenance of world-class standards in infrastructural development and service delivery. He assured the unions that concession is not tantamount to privatization or outright sale and explained that the institutions being concessioned remained the properties of the Federal Airports Authority of Nigeria (FAAN) and Nigeria further stating that more jobs will be generated at the end of the day. He argued that a private investor like those who built airports at Doha, Dubai could provide funding for such a project and accomplish it with ease, giving this country a state-of-the-art terminal facility devoid of the problems of the current ones and after a period, as the term concession implies return said facility to the country. President of ATSSSAN, Comrade Benjamin Okewu, who spoke on behalf of the unions said the unions were not in total agreement with the planned concession of the revenue generating airports but agreed that concession done in other climes had resulted to increased revenue, building of infrastructure and other developments. He further expressed fears on the concession, seeing how the Bi-Courtney Aviation Services Limited (BASL) concessioning has gone so far and how the Maevis concession ended up a drain pipe to FAAN. He further told the Minister that FAAN workers were apprehensive of their fate in the entire concession gamut especially as regards pensions and gratuity. He however said the unions will meet to consider the Federal government’s position and put theirs forward. Okewu also told the Minister that the unions will have to meet to determine whether they should or not join the Project Delivery Committee which the Minister invited the unions to join stating that they would get back to him on the request, while thanking him for the gesture. Recall before the Eid Mubarak celebrations the Minister had inaugurated two committees to mid-wife the process; a Project Steering Committee which will provide the general direction, and steer the course of Public Private Partnership project concessions in the Aviation Sector. The other committee is the Project Delivery Committee with a charge on members to be diligent and patriotic in the implementation of the decisions and policy guidelines as approved by the Steering Committee, as their success or failure would determine the fate of the whole process. Among the Committee’s Terms of Reference are: Approval of technical, financial and legal framework for the successful preparation and execution of the provision of policy guidelines and general direction on all matters relating to PPP and concession of projects and programmes in the Aviation Sector; consider and facilitate necessary permits, clearances and carrying relevant stakeholders along in the processing of PPP / Concession matters; approve action plans, budgets and financial requests submitted by the Project Delivery Committee; and serve as the final decision-making body on PPP / Concession matters on air transport generally. AN OUTRAGE ON COMMON SENSE. There is nothing wrong with P3 initiative that the government is proposing for our airports, but there is something wrong if it is being put to one, that, this is what one wants, without giving one the benefit of fair hearing. This is the sum of the aviation unions argument against the call to consession the airports. 2. Open presentation of road maps and investors agenda. 3.institutionalization of policy frameworks and training of key actors in the beneficiary organizations on PPP.etc. We have not seen any of those, rather what we have been hearing are voices insisting that the airport must be consessioned “for the public good” yet the matter has not been brought before the altar of public opinion to assertain if truly this is what the Nigerian public wants or something the government is insisting is in their best interest. 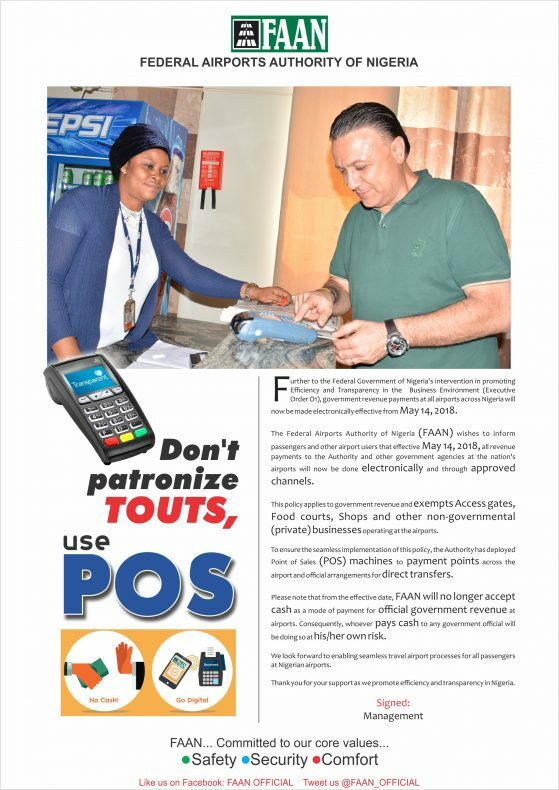 FAAN has the largest history of failed concessions in the world. FAAN has over 68 pending court cases. FAAN needs to be trained and union leaders also trained in the area of PPP before any agreements are entered into or else the negotiations will look like the super eagles playing against a secondary school club. Training, Training, Training of AIRPORT MANAGEMENT ON PPP before signing any agreements.